It is a cloudless July day in Connecticut—the kind of day that keeps people rooted in this place despite its long winters and high taxes. From houses up and down the block neighbors emerge into the sunlight carrying beach chairs and trays of food. A long row of folding tables borrowed from someone’s employer runs down the center of the road, ready to accept the offerings. In a nearby driveway hamburgers and hot dogs donated by the woman whose family owns the local meat market cook on side-by-side grills. Neighborhood kids in packs dart from one lawn to the next trying the yard games that have been set out. All of this is possible because the police have cordoned off the street, and the faces of the drivers who approach the barriers before rerouting betray a sense of confusion followed in some cases by what appears to be wistfulness. They have stumbled upon a block party. Maybe the first one they’ve seen in years. For the next several hours, the personal relationships essential for community will strengthen among a group of people who in today’s atomized society might otherwise have remained unknown to each other despite sharing a patch of Earth smaller than one of the farmsteads that used to dot the area. The arrival of the Armistice appears to have dampened the enthusiasm for block parties, but not the official concern produced by those still taking place. In June 1923, New York City Commissioner of Public Welfare Bird S. Coler decried block parties as endangering the morals of young women and encouraging gambling and bootlegging. Once again the proposed solution was a government-run permitting process. Shortly thereafter, Bishop Thomas Molloy of the Diocese of Brooklyn prohibited Catholic organizations from hosting block parties. These pronouncements came despite the celebrations already being in decline. An August 4, 1923 article in The New York Times under the heading “WHERE ARE BLOCK PARTIES OF YESTERDAY?” noted that while a year ago “a motorist could scarcely burn up a gill of gasoline without coming to another closed street, with the lights bright behind the barricade, and the girls and boys and oldsters, too, dancing on the asphalt,” now “you may search this town from end to end and find scarcely one.” In an assessment that sounds all too familiar today, the article blamed the demise of the block party on an itinerant population and the existence of too many distractions. 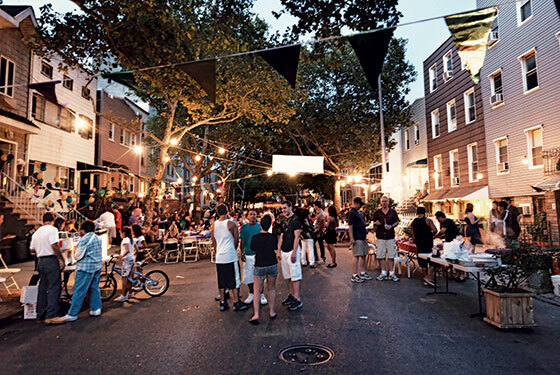 Despite this surprisingly contentious history, the block party continues to enjoy a special place in the American community-building toolkit. In recent years many municipalities have been actively encouraging these neighborhood celebrations, often with demonstrable success. (Ironically, the permitting regimes that have their historical origins in suspicion of block parties now allow for interesting data analysis of when and where such parties are occurring). Still, a 2016 report entitled Building Blocks: How Cities Can Encourage Block Parties by community organizer Adam Greenfield highlights the considerable variation that exists among municipalities when it comes to fostering block parties. Cities’ policies on everything from fees (from $0 in many places including Chicago and Detroit to over $300 in LA) to permit application length (1 page in many cities, but as high as 22 in Atlanta and 27 in Riverside, CA) to required neighborhood approval (signatures required from 100% of neighborhood residents in cities including Dallas and New Orleans) can either help or hinder efforts to host block parties. Greenfield concludes his report with a list of best practices and recommendations for cities seeking to promote block party growth. Most important is the need for something deeper than abstract gregariousness if man is to hang together. The block appeal sought to make a cohesion different from that of a theatre audience, for instance. Man is selective in his swarming. He needs a stronger bond than general merriment if he is to keep it up. For those organizing neighborhood celebrations, then, the challenge is to create opportunities for the general merriment of the block party to develop into the stronger bonds of true community. 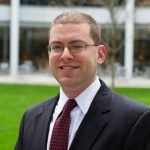 Christian McNamara is a researcher and lecturer at the Yale School of Management and has also worked as an attorney, social sector consultant and executive director of a small youth development non-profit. He is a graduate of the University of Notre Dame and Harvard Law School. Christian lives with his wife and two children in Hamden, CT.